One word, more than any other, is guiding Bag-in-Box (BIB) film purchasing decisions today: sustainability. 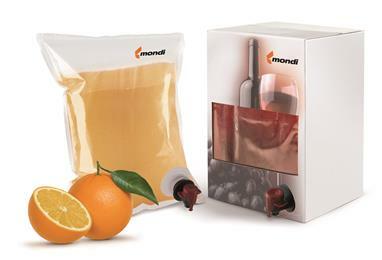 Whether for wine, fruit juice or dairy products, the people in the buyer center –product and packaging managers, technical engineers and purchasing agents – are tasked with finding sustainable packaging solutions. 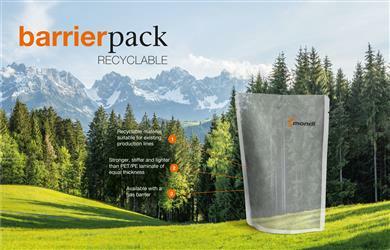 Mondi, the global packaging and paper group, will highlight BarrierPack Recyclable, its fully recyclable plastic laminate for pre-made pouches and FFS roll stock, along with other innovative products targeting the ice cream, pet food, and food and beverages categories at the upcoming FachPack trade fair in Germany. 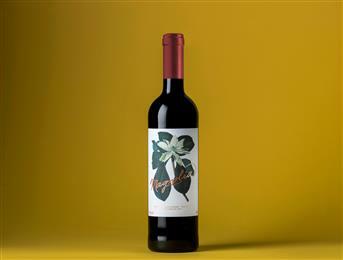 A collaboration of Avery Dennison with Italian design agency Smith Lumen and Italian printer Rotas Italia has resulted in an award-winning design project in wine & spirits. 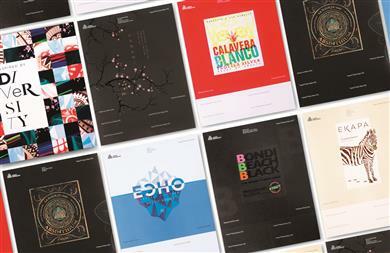 Converters, designers and brand owners are now being invited to receive their own copy of the ‘Black & White’ envelope, with its set of inspiring wine and spirits labels that follow a common design theme. 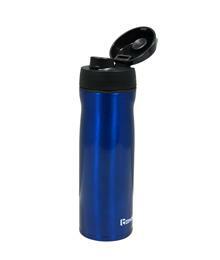 For absolutely leak-proof sealing of its versatile OMNI drinking bottles and CRUISE beverage cups, Timolino uses a Thermoplastic Elastomer from KRAIBURG TPE that combines permanent elasticity with food compliance fully in accordance with FDA regulations and EU directive 10/2011. OEGSTGEEST, the Netherlands — October 5, 2017 — The face value of a label is just one part of a consumer’s impression of a bottle or package. 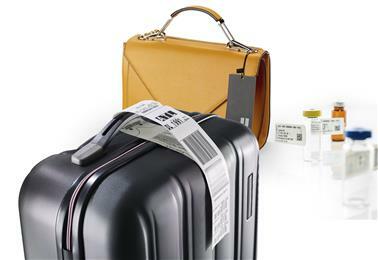 Communicating brand values effectively means going further – how does a label feel? What sound does it emit when touched? Does it give off a scent? Packaging that stimulates multiple senses has a bigger impact on consumers’ perceptions – and helps determine their purchasing decisions. OEGSTGEEST, the Netherlands — September 28, 2017 — The increasingly interactive and interconnected network of “smart” devices, commonly referred to as the “Internet of Things” (IoT), is reshaping how we all experience our daily lives. Avery Dennison, which has been pioneering change for decades, has developed a portfolio of Intelligent Label Solutions – meaning label applications that can store or capture information and transmit data wirelessly.